The ramblings of an IT Professio​nal from the West Midlands in the UK, with an interest in history, food, drink and all things technical​. 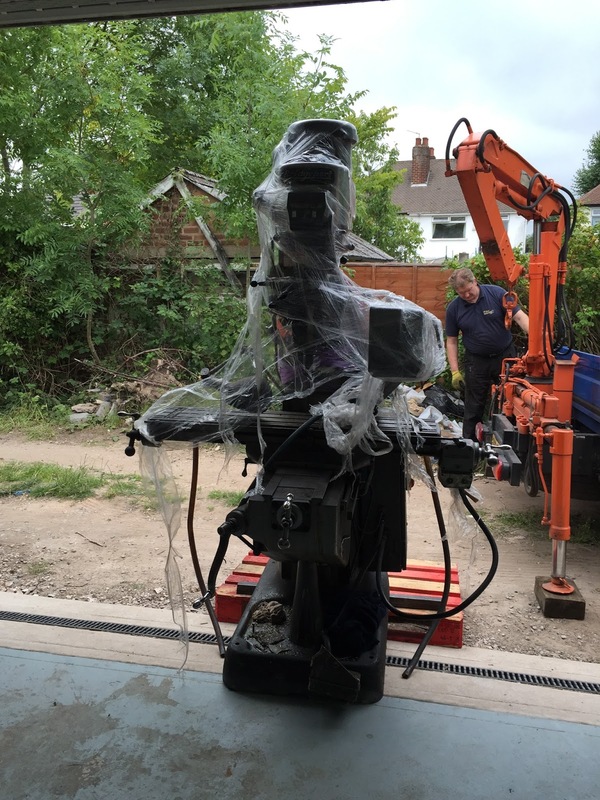 For some time I had been looking for a milling machine and thus I'd been scanning the auction sites for a suitable candidate. 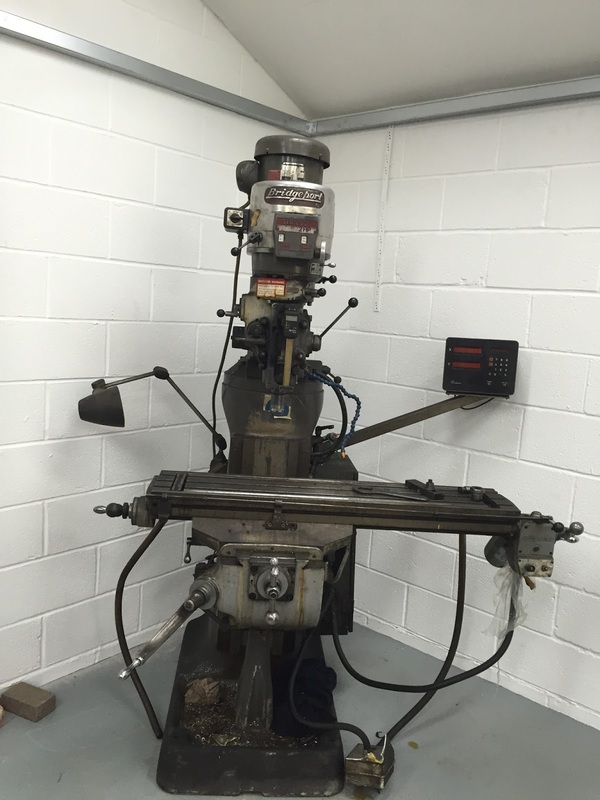 Sadly anything within my price range was in really poor condition or had no tooling. After a lot of searching I found just what I was looking for. So I was searching on bidspotter.co.uk for milling machines and I spotted one in Cheltenham which was within my budget (but still had a week to go) and came with a load of tooling. There weren't any bits and it had a starting price of £800, but I was sure it would go for much more than that but with just a few min before the end of the auction there were still no bids. I decided in the end to go for it, on the basis that even if it was in poor condition the tooling should be worth what I paid for it but when I tried to bid I found out I was not registered with that auction house and by the time my registration had come through the sale had finished, but the mill had not sold. I dropped them an email and they said they were open to offers so I made them one of £600 and I was very surprised when they accepted it. This did however leave me with a few issues, first off you could only collect it during the week I was scheduled to be on holiday. I though this was going to be a big issue but I dropped them an email and they agreed I could collect it earlier which was a big relief. I was however left which the question of how to move it. At first I thought I would do it myself using a plant trailer, engine crane and the help of friend, but as it could only be collected mid week in the morning I decided it was unfair to expect people to have a day off work. I got several quotes to move it but in the end settled on a guy who would do it for 300ukp which was more than I wanted to spend but a lot less that some of the quotes. The day came and he collected the machine from the seller. 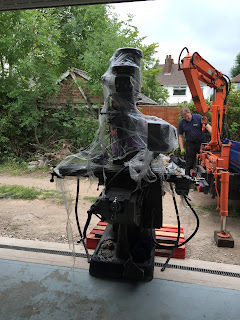 When he arrived I had expected him to just drop it at the door but he moved it into place and even move my lathe to its final position to make space. Really please with this guy I will definitely use him again. So I have had the machine for a month now and have got it hooked up and my first impression are that I got a really good deal. There are however a few issues that need to be sorted. The big one is that the DRO does not work, it all lights up but no response from the scales, hopefully this will be an easy fix. The second is that there were a couple of bits of minor damage in shipping, the fan shroud has got bent which stops the spindle from turning and the control box has snapped off (looks like this has happened before and had been glued together not too well). For now I have just removed the shroud but I will beat it back into shape. The control box has been cable tied in place but I will need to come up with a better option. Finally the auto traverse is very noisy in one direction. All in all I am very happy with my purchase, its not perfect but its pretty close especially considering for what I paid and how much tooling came with it!